You'll be £10.79 closer to your next £10.00 credit when you purchase Letters from the Battle of Waterloo. What's this? Waterloo is probably the most famous battle in military history. Thousands of books have been written on the subject but mysteries remain and controversy abounds. By presenting more than 200 previously unpublished accounts by Allied officers who fought at the battle, this collection goes right back to the primary source material. In the letters the Allied officers recount where they were and what they saw. Gareth Glover has provided historical background information but lets the officers speak for themselves as they reveal exactly what happened in June 1815. Originally sent to, and at the request of, Captain W Siborne, then in the process of building his famous model of the battle, these letters have remained unread in the Siborne papers in the British Library. 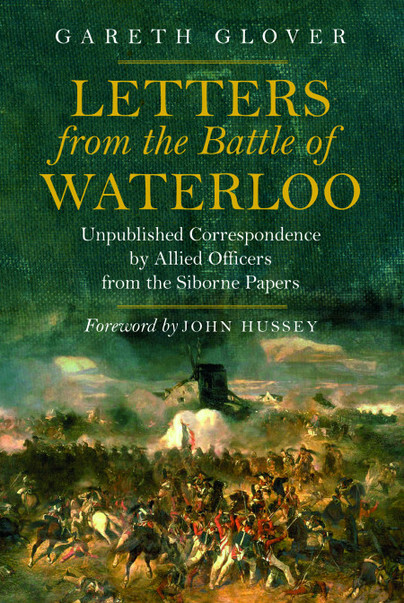 A small selection was published in Waterloo Letters in 1891 but much of vast historical significance did not see the light then and has remained inaccessible until now. Glover now presents this remarkable collection which includes letters here by Major Baring, George Bowles, Edward Whinyates, John Gurwood and Edward Cotton as well as letters by Hanoverian and King's German Legion officers. This is a veritable treasure trove of material on the battle and one which will mean that every historian's view of the battle will need correcting. This material is packed with the flavor of the times and covers the most key units of the action. The augmentation of the text with such great illustrations is key to developing a deeper understanding of the terrain in and around the battlefield. I especially enjoyed the mention of the 5th Division; Kempt’s Brigade and their engagements. These primary accounts serve to bring to life from the forgotten shelves of history the excitement and drama of the battlefield and the wily French deployments, movements and counter movements. It is extremely well done from start to finish and covers a very wide array of elements who fought in Waterloo and later expounded upon their roles. It is a very highly academic read however I found it to flow exceeding well. This facet I feel lends itself to an availability for the general reader of history and those less inclined to study older works which may be found dry or slow reading. Glover has a zest for the period and this is apparent when diving into this text and roaring into the fray. I find the new scholarship aspect to be simply brilliant and highly recommend this work to those already devoted Napoleonic students of those just testing the waters of this period. Glover’s work will not disappoint either segment. It is a heavy book with great weight of information and well worth the price of admission. It is a great addition to Pen and Sword’s stable of books and really a must have for those who enjoy this period in time. Brilliant work !